I feel like I'm missing something when I listen to "Toltec", as if it were the audio component of a multimedia presentation. Dialogue from Indian spiritualist "Longwalker", traditional Indian songs, bouncy and light originals from Jon, and instrumental bridges run together like the score to a film playing in the singer's head. The Toltec, as I understand it, are an ancient race of Indian magicians; at least that's what I remember from Carlos Castaneda. Drawn to magic as he is, ANDERSON becomes a willing mouthpiece for the movement, and (as the cynic in me would say) it's a little like inviting the Jehovah's Witnesses into your home. I do believe God's spirituality descends on earth in myriad forms, but the more someone tries to articulate it, the more of man's hand I see in the whole thing, and the less sense it makes to me. So, in listening to "Toltec" (or reading Castaneda, or sitting for a medium) it might pay to have a salt lick handy, since a grain just isn't gonna do it. Distilling the actual songs with vocals (which is what most people would expect from a Jon ANDERSON album) is near impossible; like Pete Townshend's Psychoderelict (a work very different in intent of course), the songs rouse you from a waking sleep induced by distant dialogue. And so the listener slips between two worlds: one of thought (making sense of Longwalker's arcana) and one of feeling (the uplifting and childlike music). However, this tends to stimulate both worlds simultaneously, which is to Toltec's detriment: my brain finds the music too simplistic, my heart feels the dialogue is a distraction. As for the Latin American Indian element, this isn't the musical amalgam that Deseo was; despite the use of traditional songs (and the assimilation of folklore that would naturally accompany such an undertaking), "Toltec" isn't any more authentic to my ears than TANGERINE DREAM's Southwestern scores (Oasis, Canyon Dreams). The melodies are trite but the music isn't, swelled to a rich hue with exotic instrumentation that includes Charlie Bisharet (I'm pretty sure that E's an A) and familiar faces from Jon's recent work. Had the singer replicated the feel of "Building Bridges" across an entire disc, he might well have had another Deseo on his hands. Instead, Jon's critics are going to have a field day with this. I'll file "Toltec" under ambitious but unfocused, as if sections of Deseo and Earthmotherearth were incorporated into an anthropology class. Released in 1996, "Toltec" is the prolific Jon Anderson's ninth solo album. 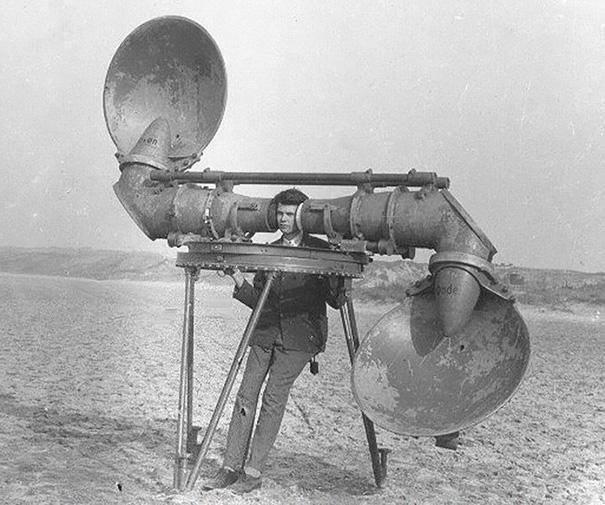 Here we find him very much in his World music zone, exploring the world of the native Indians (see also Manfred Mann's Plain's Music). He is assisted by the spoken voice of "Longwalker" and a diverse array of musicians and singers. The album originally suffered an abortive release as "The power of silence", devoid of these narratives which were added prior to its renaming. It is presented in three distinct segments, each containing four or five tracks. Longwalker's narratives appear throughout, supported by symphonic sounds and ethereal melodies. There are some similarities with Anderson's first album in the repeating mantras and building melodies, but here his use of musicians who are experts in their fields means that he is not restricted by his own limitations. Anderson is the main composer throughout, but incorporates the talents of others, including Mozart, where he feels it appropriate. In true Anderson fashion, he takes the basic stories of the native Indians and adds his own unique visions from them. His interpretations of their wisdom and spirituality are predictably obscure and imaginative. The content of the tracks varies from the familiar lyrical song style of many of his albums to symphonic instrumentals and tribal recitations. There is often a new age feel to the resultant sounds especially when Anderson is not actually singing. As an album, the music flows together well. Instrumentally, we range from pan pipes and other wind instruments to more conventional rock sounds. Children's choirs sing traditional sounding world music on occasions, making for an acceptable counterpoint to Anderson's vocals. From a prog perspective, while there is little relationship with the music of Yes here, "Toltec" is significantly more rewarding than those his albums which simply contain a collection of individual songs. Do I like this new-age, spiritual mambo-jambo? Surprisingly, I do! I usually don't like this type of thing, but this one it quite enjoyable. The feeling of this album is not too far away from Olias Of Sunhillow and fans of that album will probably like this one as well. You could also say that this album has something of a Mike Oldfield sound and feeling to it. However, you should not expect an electric guitar fest, or indeed you should not expect a rock album here - this is not a Yes album! Rather, this music is inspired by world-music with some slight rock and pop influences. But this doesn't mean that it is monotonous or repetitive. There are some louder bits, and the many instruments and great melodies involved keep it interesting throughout. The keyboards on some passages remind slightly of the Anderson Bruford Wakeman Howe album, but they are not as elaborated (of course, since this in not Wakeman playing!). The vocals are exceptional (as always) as is the production of the album. 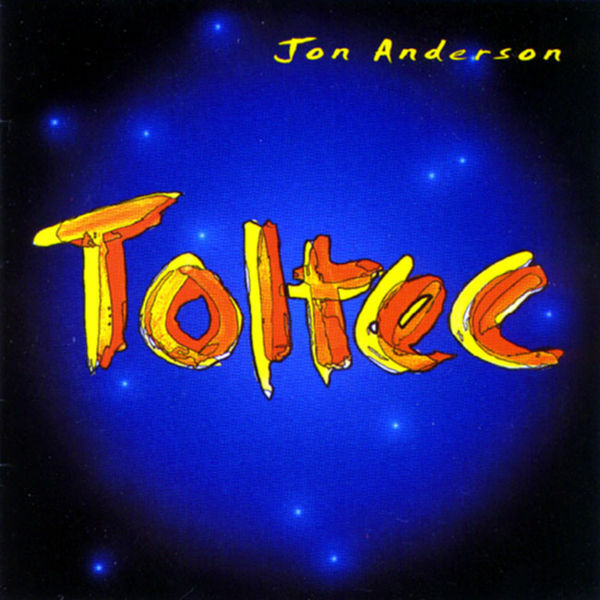 Toltec is one of the best of Jon Anderson's solo albums and certainly to be preferred (by prog fans at least) over anything he did with Vangelis. Essential only for fans of Jon Anderson, but a good addition to any prog collection. With Jon Anderson's other albums in the 90's relying heavily on world music influences, I expected this to be a heavily Latin American Indian flavored album, with Jon Anderson's style adding spice. But in fact, this one turned out to be mainly a Jon Anderson album, with a bit of Latin American Indian influence. The high-points here are Keith Richard Heffner's grandiose keyboard orchestrations. The intrumental portions of the songs are deep and inventive, giving this prog listener a highly enjoyable experience. The songs with Latin American Indian roots are not bad either, with Jon taking native rhythms and chants and expanding them into lush musical journeys. If you like Peter Gabriel's world music based albums, you will certainly enjoy this one. In advance of the new album coming out very shortly, and having purchased the new Yes album this week, I move to a review of one of my favourite Jon Anderson solo albums, Toltec. Released in 1996, this finds the great man very much in his spiritual zone, meaning, of course, virtually incomprehensible lyrics and reflections on personal and societal spirituality, this time in collaboration with one of his greatest influences, Longwalker, a native American. It also continues a theme of sounds taken from around the world, which was becoming quite strong in his music at the time. To achieve this musical theme, he recruits a plethora of musicians, none of whom I had, or have since, heard of, with the exception of his daughter, Deborah, who has almost as lovely voice as her father and who has had a modicum of success in her own right. Following Longwalker's introduction to the story he and Anderson tell, that of Toltec, a group of people who are "creators of the circles of power" & etc., the album proper moves into one of the most lovely creations of his esteemed career, Talk Talk. The vocals are sublime, and the accompanying music can only be described as symphonic world music. Deborah backs him beautifully on these two tracks, the music is simple in its complexity, and Anderson returns to what he is best at; using his voice as a living, breathing, instrument in its own right. The mid section of the album features an eclectic mix of accordian, Longwalker musings, lovely choral effects sung in native dialects, wonderful saxophone by Paul Haney, led all along by Anderson himself directing the musical symphony. Many people seem to have compared this to Peter Gabriel's masterpiece, Passion, itself probably the Godfather of all fusion of world and Western based rock. Actually, they are world's apart in terms of composition and texture. Gabriel's album tells a well known story without words, obviously because it was originally designed as a soundtrack to Scorsese's own masterpiece film, The Last Temptation of Christ. This album is a soundscape of words, teachings, and a musical accompaniment, and it is also distinctly lighter in tone. Do not assume that if you like Passion, you will like this. However, I can say with certainty that if you like Anderson releases such as Olias of Sunhillow and Angels Embrace (passages of this album are very similar in musical texture, particularly Enter Ye The Mystery School), together with the excellent Yes release The Ladder (recorded three years later), then you will certainly enjoy this. It does sag in parts, particularly on passages such as Leap Into The Inconceivable, where Otmaro Ruiz attempts to be something he is not, namely Rick Wakeman, and Building Bridges, which is too sparse for its own good. They are not bad, as such, just out of place with the rest of what is here. However, this is rather a minor gripe. Listen to the most exquisite vocal harmonies accompanied by harp on Song Of Home, and you instantly forget all of your troubles, and are transported to another place. No bad thing, is it? This album is not a masterpiece, by any stretch of the imagination. Only those who can bear to hear Longwalker pontificate for over two minutes accompanied by a triangle (I kid you not) could possibly describe it thus. What it is, though, is an exceptionally enjoyable album which deserves to be listened to as a whole work, one in which you lose yourself for the best part of three quarters of an hour, immersed in the wonders of the greatest voice to walk this earth. Anderson's solo career is a mixed bag. This, however, comes highly recommended. Four stars, an excellent addition to any prog rock collection. First of all, let me introduce Carlos Castaneda and his books about the "alternate realities" to those who are too young for this kind of things. Carlos was a student in ethnology who got in touch with a Yaqui sorcerer and wrote a number of books about psychedelic experiences in the desert of Sonora (Mexico) later moving to a fully philosophical/esotheric level. It's not a surprise that Jon Anderson embraces this side of the newage philosophy, and it's not the first time that he takes inspiration from Castaneda as "Journey To Ixtlan" is the title of both a Castaneda book and an Anderson's song. This is the main reason why we can hear sorcerer's voices and American Indian ethnic parts in this album, together with the usual Anderson's songs made of major chords and positive feelings. Without going track by track, this is mainly a newage album but is also extremely good and the ethnic parts add something to songs that would have probably been too repetitive or "positive" without. 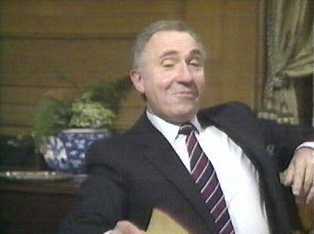 The second track "Quick Words" is an example. It concentrates a number of themes and ideas in less than three minutes. Is it prog too? I think yes. As much as "Brother of Mine" on ABWH is prog bu regardless the labels it's good. All the songs here are well arranged and Jon is seconded at the vocals by Deborah Anderson, the one to whom the homonymous song from Private Collection is dedicated and one of the few persons in the world able to sing with the same vocal of Jon but one octave higher, however there's plenty of vocalists in the lineup. I have liked a lot the sax of Paul Haney on "Semati Siyonpme" that's one of the most ethnic songs, but there are many good things in this album and also some unexpected dark moments like the short "Good Day Morning". Give a read to "in Teachings of Don Juan" before spinning this album up. You don't have to believe to what's in the book, just set your mind on the right level of consciousness and enjoy. 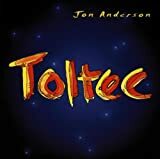 Post a review of JON ANDERSON "Toltec"